I took this photo of Max eight weeks ago in our backyard. Four weeks after taking this I was in Japan for the next four. Those weekly updates are significant in the life of Max as he approaches his natural end. Labs have an average lifespan of ten to twelve years. Max will turn fifteen on 5 August, a little more than three months from now. Max is the fifth of six labs we’ve kept over the past 32 years as a couple (my wife has spent 35 starting with Rhett, her first). It was Rhett, a male yellow, who literally helped both our girls to learn to walk. He would stand in the middle of the floor as both girls would slowly, swayingly pull themselves up to stand using Rhett as their prop, then Rhett would carefully walk while the girls used him as a living walker. He was so patient and the perfect family dog. As they grew older he was their loving companion and guard. Rhett (and Labs in general) became an instant part of my life when I arrived at my future wife’s house for our first date. As soon as Rhett laid eyes on me he knew he had a guy to walk him long distances and do other physical fun activities with. On that first night, while sitting on the sofa and waiting to take her out to dinner and a movie, he went around my wife’s rental and picked up all his toys and deposited them in a pile at my feet. While my wife and I dated she would bring him over, along with his little vinyl suitcase, to stay in my apartment when she traveled. As a pair of bachelors we’d then go out together in my Honda Civic with him riding shotgun for local fast food late at night. His favorite was green burritos. He turned my walk-in closet into his spare bachelor pad. When my wife and I married, he was best Lab at our wedding and went with us on our honeymoon. He traveled with us on vacations when it was possible. He loved car rides. He lived to be sixteen. The very last thing he did was to eat some birthday cake. Which goes to show that the last thing to go in a Lab is the stomach. Over the years, along with Rhett, we’ve had a black female (Katie), a chocolate female (Babe), a black male (Spook, born on Halloween), Max, and Ruby, the youngest Lab at six years. Max was the most athletic of any Lab that’s ever lived with us. Max, in his prime, would out-walk and out-run anything on two or four feet, including me. He was my walking companion who kept me fit and active. But Max has slowed down over time, as we all do. Tonight, for the first time ever, he stayed on his resting pad in our TV room, gently sleeping. I knew this day was coming from past experience, but it hit me hard non-the-less. Somehow I felt Max might be a little different, walking up until the very end. Max still goes out constantly into our big back yard where he lies and watches the birds and butterflies. His eyesight is still pretty good. But his desire to explore beyond the big back yard, I believe, is done. He still likes to walk out the front door and look around, and if another dog comes into the vicinity he takes notice. But he’s past the Energizer Bunny stage of his life. That’s only fair. 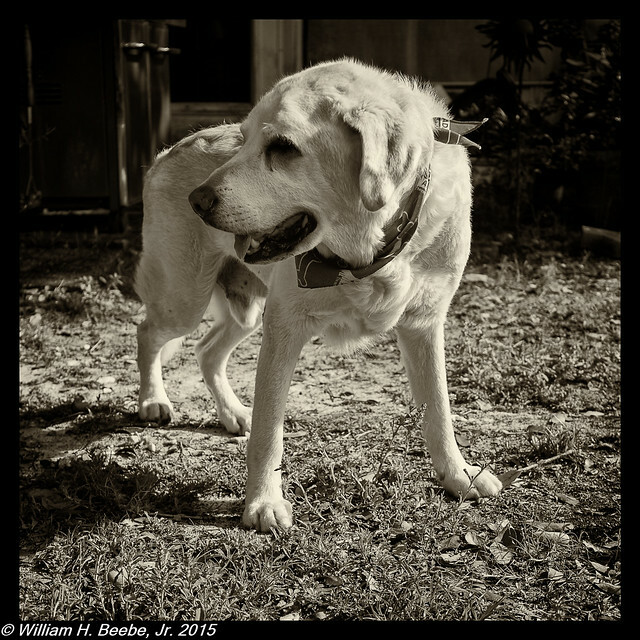 He’s been the most active, and has walked longer in his life, than any other lab. Rhett, who has the record for longevity at 16 years, stopped walking a good three years before he died. Who knows how long Max may live beyond this point. But still, it’s a sad point, and another reminder of all our fixed days in this world. Tonight it was just Ruby and I on the walk. Both of us are going to have to get back into shape, because as long as Max wanted to go out for our walks as a group, then we walked at his pace and his distance. I never had the heart to drop Max off back at the house and then turn around on a second walk with just Ruby. I know my animals and it would have broken Max’s heart. But that’s no longer an issue; Max has moved on. He actually went out again with us. He picked the absolute shortest route, down and around a cul-de-sac that’s just across the street from my house. Part of what may have contributed to his desire to walk may have been the temperature; the evening was a bit cooler than last evening. One of the “benefits” of western culture I’ve managed to avoid while on travel, until today, are the blockbuster trailers. Then I watched the Star Wars teaser trailer with a definitely old Harrison Ford and that opened the floodgates, as it were. What followed was a binge-watching session of all the trailers I’ve not seen for the past three weeks, and even a few going back even farther than that. One of those binge-watched trailers is for the latest Terminator franchise installment, “Terminator: Genisys” (with genesis horribly misspelled). 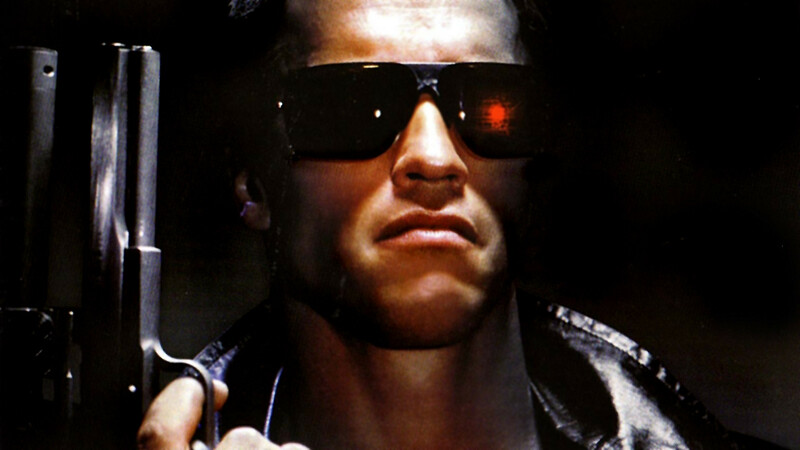 I’m now ashamed to say I’ve seen every terminator movie since the original. All four. Now with a fifth coming out they’re changing up the plot and introducing new faces for old characters. It still has Arnold Schwarzenegger as the original Terminator in something of a bridge role, just like they had Leonard Nimoy bridge between old and new with his original Spock character in J.J. Abrams’ Star Trek reboot. Here’s my issue: Assuming you could time travel and you knew exactly how near historical battles played out, then why would you go farther back in time before those battles to beat your enemy? If Skynet knew precisely how critical near-term historical battles (those where it was fighting the Resistance) that it lost would turn out then it would have made much better sense to analyse those key battles and then send multiple Terminators back to those specific battles, changing the outcomes from a loss for Skynet to a win. Do that enough times and you kill off the Resistance and possibly the rest of the human race. The whole idea of even having to go far back in time to kill the mother of your enemy’s key leader makes absolutely no sense: going back in time and trying (and failing) to murder Sarah Connor, Skynet wasted incredible opportunities to finish the job much more quickly and much closer to home, chronologically speaking. Terminator shows how poor a story teller James Cameron is compared to Harlan Ellison, whose Outer Limits stories “Soldier” and “Demon With a Glass Hand” underpinned the whole Terminator franchise. Ellison’s stories are elegant and powerful, while Cameron’s Terminator is a very poor retelling of Ellison. Nope. I won’t be shelling out any hard earned cash to see this one.